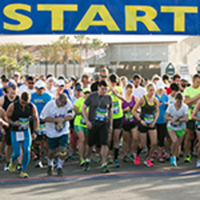 'Run the Route' 5K Come and participate in the 4th year for this 4th of July event. Run or walk 3.1 miles on the Struthers 4th of July Parade route as people cheer for you along the way. The run kicks off 60 minutes before the start of the 42nd Struthers 4th of July Parade. If you would like, stay after the race and enjoy the parade. The 5K race is $20 with a small processing fee. Race day registration cost is $20.00 Must sign up before June 30th to guarantee a shirt. The Kristy Taaffe Kids Fun Run Children ages 5 and above can participate in a 1/2 mile fun run which will start at 11:45am, after the start of the 5K and before the parade. All participating kids are invited to dress up in red, white, and blue, or whatever they choose, to have fun while they learn how running can help them be healthy and happy. This race will start at the corner of 5th St and Rita Dr, head north to the Struthers Middle School where the kids will turn around and head back to the starting line. Kristy Taaffe was a lifelong resident of Struthers and a Struthers High School graduate. She was very active in the Struthers PTA as well as a devoted runner, having participated in numerous races including a full marathon. Kristy had a passion for children and planned use her involvement in the PTA to create more programs for the students of the Struthers school system to become healthier and physically fit. Tragically, Kristy passed away on unexpectedly on July 3, 2016. The kids fun run is a way to honor Kristy for her devotion to our area children as well as bring to life her goal of helping the children of Struthers become healthier and physically fit.